Greenwich Council has updated its local heritage list: What’s been added in Charlton? 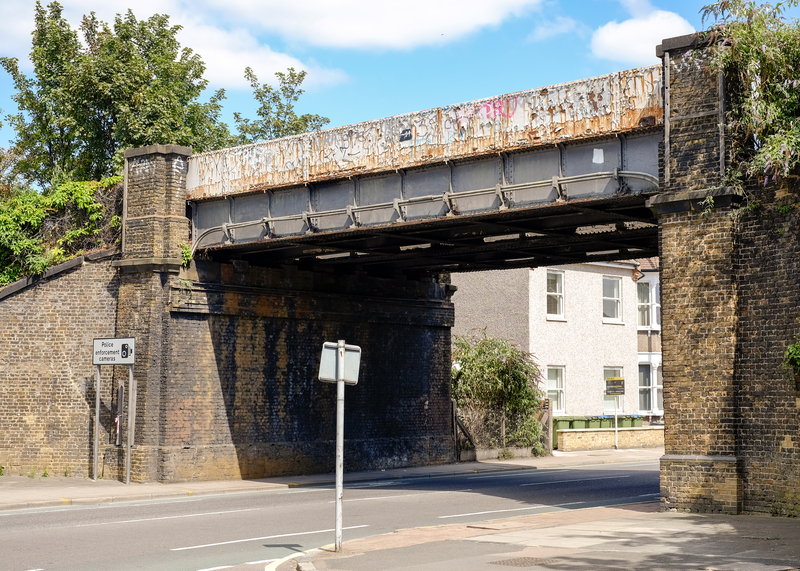 The Angerstein branch rail bridge over Woolwich Road has been added to Greenwich Council’s Local Heritage List. Will Network Rail give it a lick of paint to celebrate? The updated Greenwich Local Heritage List has been published – with 45 new nominations added as local heritage assets. Public nominations were allowed for the first time, a big thank you to everyone who took the time to nominate and comment. To qualify, buildings and structures needed to meet requirements in one or more of the following areas: Historical, Architectural or Technological interest – or Environmental significance. Rathmore Community Centre & Rathmore Benches (Former Good Shepherd Mission Hall) “Striking, high quality late C20th exterior artwork with strong social, artistic and townscape value. Intact and evocative, unique.” (An appeal has been launched to restore the mosaic benches). The Pickwick pub (A planning application to demolish the pub and replace it with a new pub and flats was refused permission in December 2018). The full report and results of the consultation can be found here.